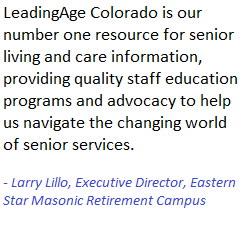 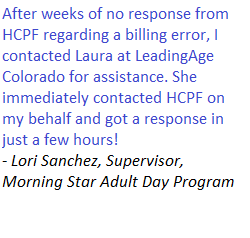 Mark your calendars now for LeadingAge Colorado’s Day on the Hill to be held from 8 a.m. to noon on Thursday, Jan. 24, 2019 at the Colorado State Capitol. 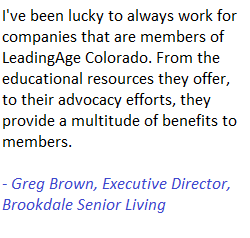 This event is designed to provide direct access to legislators to ensure that the voice of senior living and care providers is heard by those making important policy decisions. 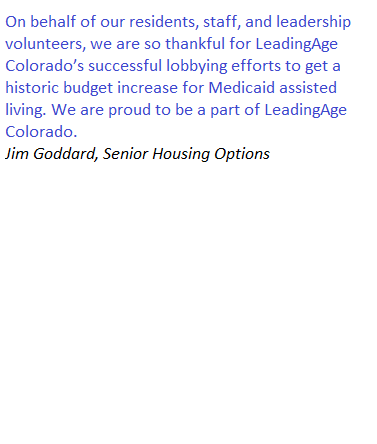 Legislators will be invited to join you at breakfast starting at 8 a.m. 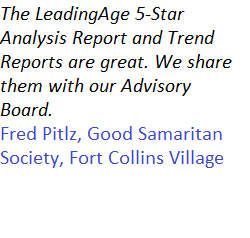 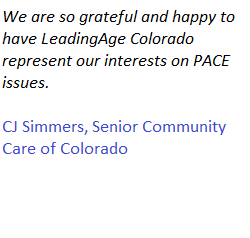 This will be followed by a briefing on the issues with Gayle Berry, LeadingAge Colorado’s lobbyist, after which members will have the opportunity to meet individually with their community’s legislators. 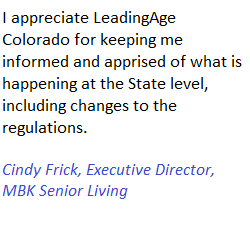 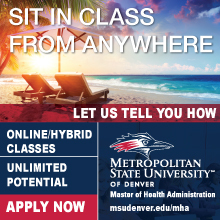 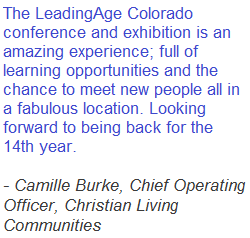 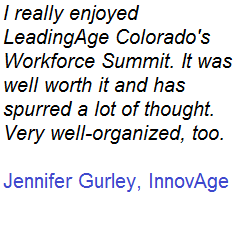 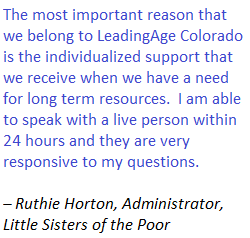 Once you are registered, LeadingAge Colorado will set up an appointment for you to meet your state officials join them in conversation about the future of senior living and care services in the state of Colorado. 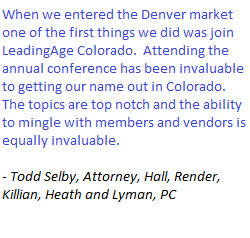 At this sponsorship level you will receive (1) logo recognition on the Welcome Sign displayed during the event; (2) banner exposure during the event (banner provided by sponsor); (3) event recognition through a special name badge ribbon; (4) literature distribution on the information table; (5) a listing in the event program; (6) recognition in the Connecting e-newsletter; (7) live recognition during the event; 8) up to four complimentary registrations. 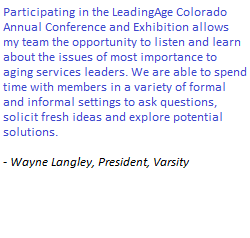 At this sponsorship level you will receive (1) logo recognition on the Welcome Sign displayed during the event; (2) event recognition through a special name badge ribbon; (3) literature distribution on information table; (4) a listing in the event program; (5) recognition in the Connecting e-newsletter; (6) live recognition during the event; (7) and two complimentary registrations. 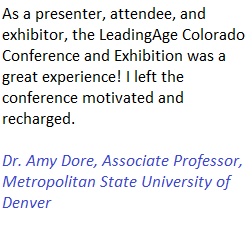 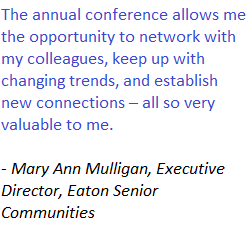 At this sponsorship level you will receive (1) recognition on the Welcome Sign displayed during the event; (2) event recognition through a special name badge ribbon; (3) a listing in the event program; (4) recognition in the Connecting e-newsletter; (5) one complimentary registration.